What the subject says..And can anyone tell me how to get rid of this.. It seems like its making my zuccuini squishy and soft..
Hmm... that just looks like the normal silvery veining in a zucchini plant to me. 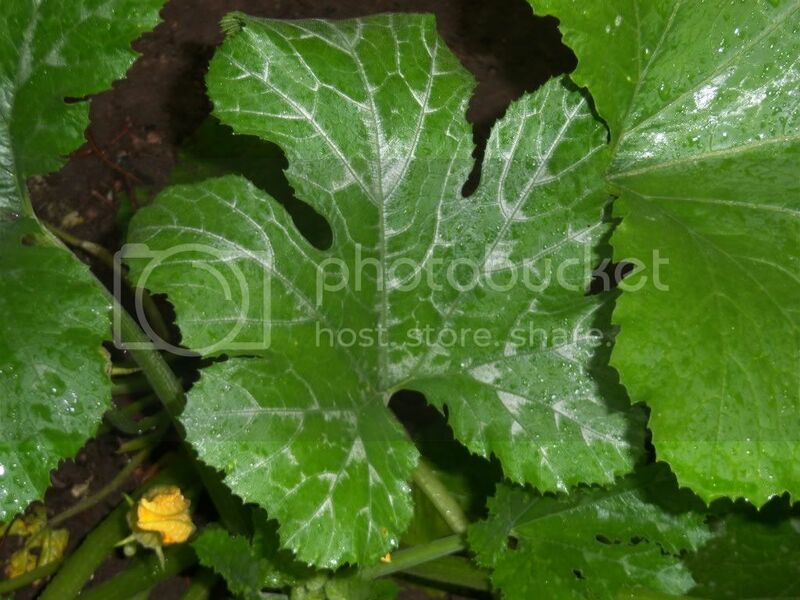 Powdery Mildew usually appears as while fuzzy/moldy circular spots or yellow spots on leaves. You're talking about the vegetable itself, right? How big are they? Is there anything else going on? Are they laying directly on the ground? 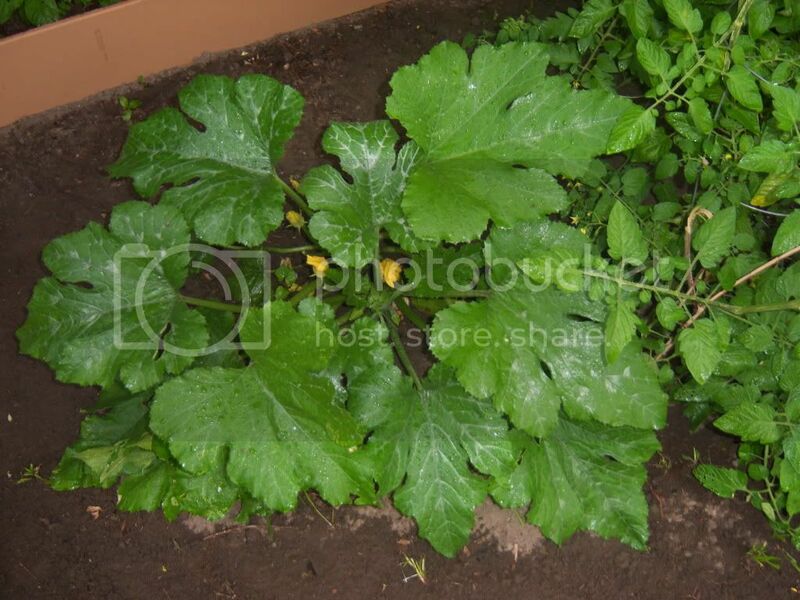 In the first photo, the tomato and zucchini plants look like they're starting to fight for space .... You *could* relieve the humidity pressure and avert fungal diseases on both tomato AND the zucchini plants by trimming the lower leaves of the tomato plant. Try not to let the leaves lay on each other. Nothing you can do about the root competition though. 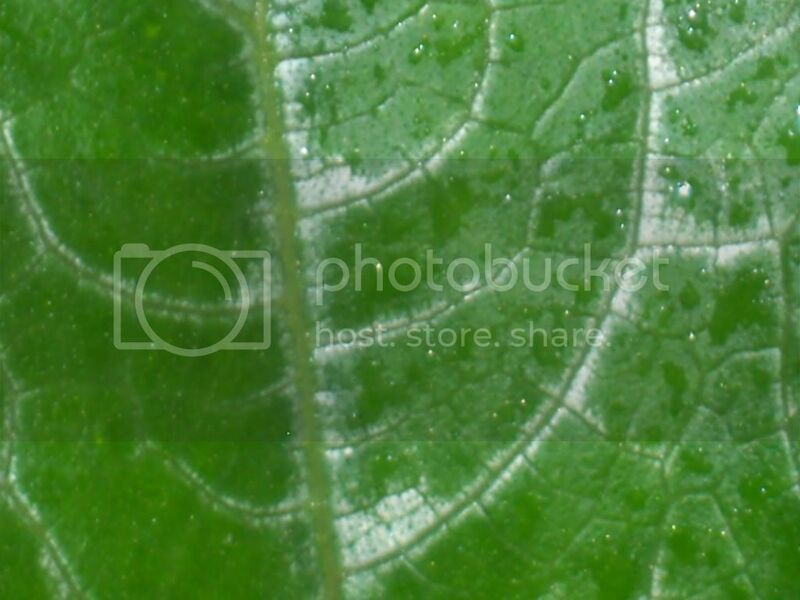 Theres a few leaves on the bottom of the plant laying on the ground. The ones the rabbits got to. The healthiest leaves are the ones that have that. I wasnt sure if this was normal or not. yeah, that looks okay to me. 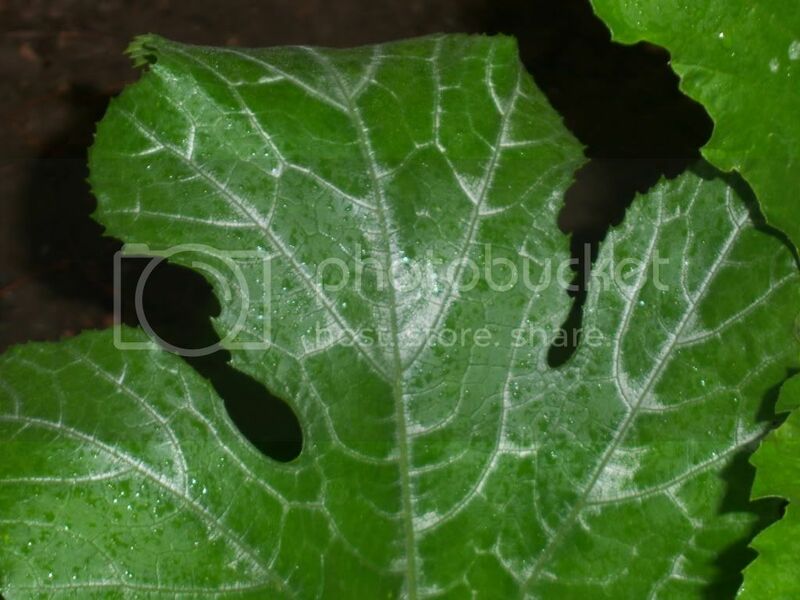 When I had powdery mildew last year, the spots started much more round and spread in clusters usually from the middle of the leaf, not on the veins exclusively at all. So I don't know why your squash would be squishy? Too much water maybe? yeah i alrdy figured this out. That certain zuccinni was on the ground and it rained for 4 days straight so im guessing it just got rotten.. Now its throwing them out like crazy now that its sunny everyday! 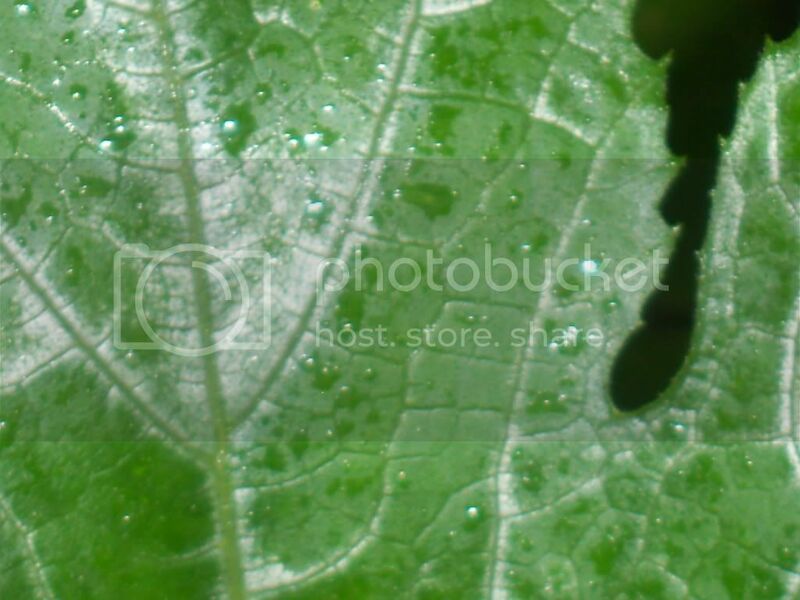 I think your plants are fine if I remember right P-Mildew starts out in a perfect circle.